R. T. Kendall writes with fervour and conviction of the importance and power of forgiveness, of working from a blank slate once again. Struggling with forgiving, or being forgiven? The act of Total Forgiveness may be the hardest thing we are ever called to do...'Total forgiveness is as spectacular as any miracle. We are talking about a feat greater than climbing Mount Everest. It means the highest watermark in anyone's spiritual pilgrimage. And yet it is within reach of any of us.' This book, possibly R T Kendall's most important work to date, explains what God calls for as 'total forgiveness'. No sin or action is unforgivable, says R T, and we are called to keep no record of wrongs, to refuse to punish those who have hurt us, to show mercy and to avoid any form of bitterness. A radical message for a divided world. 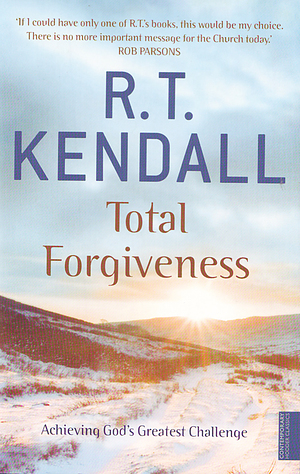 Total Forgiveness by R. T. Kendall was published by Hodder & Stoughton in April 2001 and is our 1867th best seller. The ISBN for Total Forgiveness is 9780340756393. Be the first to review Total Forgiveness! Got a question? No problem! Just click here to ask us about Total Forgiveness.